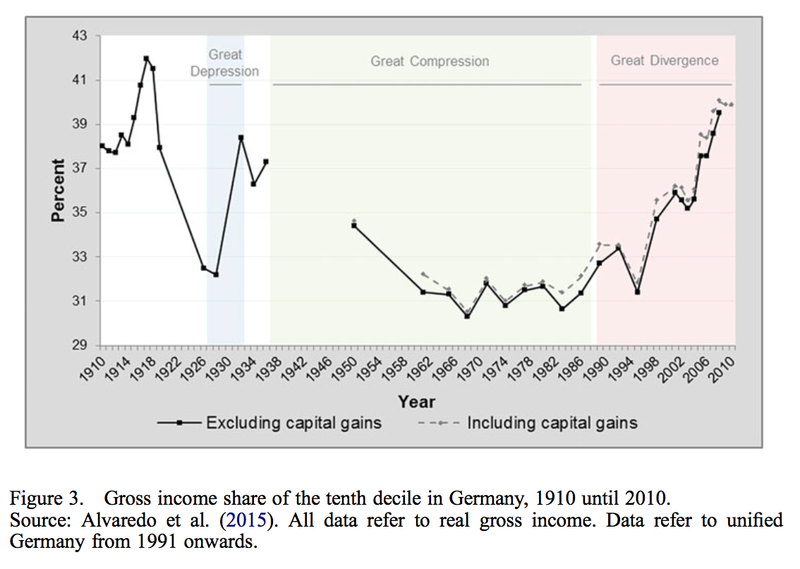 It is interesting that in contrast to the US the former peak of inequality was in 1918, not in 1929. The reason is probably the German hyperinflation of the 1920s and the losses of WWI. However, the trend is the same as almost everywhere, and it is clearly unsustainable: the top10%’s income is rising faster than the income of other groups. Since most Western democracies are not growing or growing very slowly, this will lead to class conflict, if history is any guide.